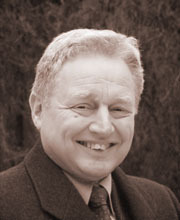 Jeremy Old is Shield’s Business Improvement Programme Specialist. The Business Improvement Programme (BIP) is cost-effective consultancy support for growing a business, building its value and surviving the downturn. Jeremy works with CEOs and business owners using collaborative leadership principles to be a catalyst for change and performance improvement. “If you are a manager or CEO of a large organisation or a small business owner, you know that being a leader can be a lonely task. Honest, objective feedback and guidance can be of inestimable value from an experienced third party. But very often it’s hard to find”, says Jeremy. Jeremy is a qualified psychotherapist specialising in the "human givens" approach to psychotherapy, which has provided a powerful input into the development of our understanding of stress-related low performance. Jeremy has been using collaborative leadership techniques for twenty years with consistent success in a wide range of organisational settings including, both manufacturing and service sectors. In recent years, Jeremy Old's work has combined original team-planning research findings from Stanford Research Institute in California with more recent advances in psychology. “Wherever senior management truly embrace and exploit the principles of collaborative leadership, the impact is an astonishing transformation in organisational performance”, says Jeremy. Jeremy Old combines an MBA and advanced coaching skills with a post-graduate diploma in psychotherapy. He is also a strategy specialist with the Manufacturing Advisory Service South West, and has delivered training day workshops on organisational stress to public sector professionals and managers with Mindfields College, the UK’s only specialist psychology college. Jeremy has just written a book 'Stress and motivation? The leadership choice'. This explains the impact of organisational stress and the role that leaders can adopt to reduce stress at work and so transform organisational performance. His research into this book has revived a long term interest in politics and economics as he sees that much of the malaise in our current political system could be addressed by the adoption of collaborative leadership principles in government.